The Sabres were 12 short minutes away from the perfect start to the Jason Botterill/Phil Housley era on Thursday night. 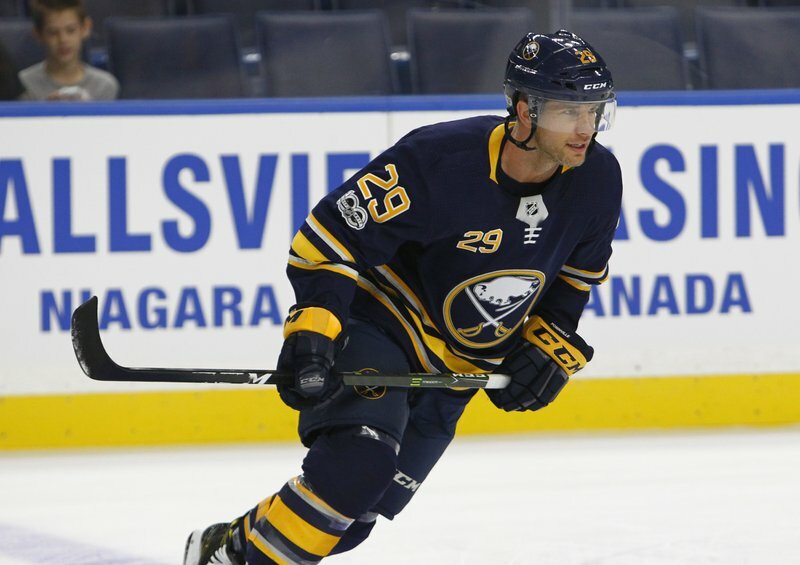 The fast paced style of play that had been promised many times before was on full display, and there was even a hint of nostalgia as old friend Jason Pominville turned back the clock and scored both Buffalo goals in his first game as a Sabre since 2013. However, it wasn’t enough to come away with the two points the team deserved, as the Sabres fell asleep on the man advantage and allowed Phillip Danault to jam a puck between Robin Lehner’s skate and the left post to tie the game in the third period before the shootout struggles of last season returned and condemned the team to a 3-2 shootout defeat. Despite the setback, the mood both on the ice and in the stands was a far cry from the tepid atmosphere that so often accompanied home games last season. Fans were engaged throughout the course of the game, and there was even fewer Canadiens fans dotting the lower bowl than usual. Fans didn’t need the organ, which made its own triumphant return, to nudge them into the familiar “Let’s Go Buffalo” chant, and the noise level in general was a refreshing change from the last few seasons of relative silence. The game itself did plenty to justify the optimism that was obvious leading up to the opening faceoff. Despite a shaky first few shifts, and the first faceoff violation penalty of the season, the team settled in and controlled the last 15 minutes of the opening frame. After conceding the first six shots of the night the Sabres recorded the next seven, and were rewarded when Seth Griffith won a puck battle inside the Montreal blue line and fed Pominville, who wired a backhand past Carey Price just as the Canadiens were returning to full strength. Phil Housley left veterans Josh Gorges and Matt Moulson in the press box in favor of a younger, quicker lineup and the result did not disappoint. The Sabres were quicker and crisper moving the puck out of their own end, and defensemen were constantly joining the rush and making smart, aggressive plays at the opposing blue line. Even Marco Scandella, who was outstanding in his Sabres debut, found himself on Price’s doorstep a few times. A turnover by Ryan O’Reilly that allowed Max Pacioretty to tie the game up for Montreal was the only thing that prevented Buffalo from taking a lead into the dressing room. The second period was by far the best period of the night for the Sabres. Pominville cashed his second of the night off an unbelievable pass from Jack Eichel less than 30 seconds into the period, and if it wasn’t for Carey Price the damage could’ve been much worse. Buffalo owned the period, firing 17 shots at Price, and dominated puck possession and board play. The Sabres’ inability to capitalize on an extended five on three let the Canadiens get to the intermission within striking distance. The third period was going according to plan until the Sabres’ power play fell asleep. The Sabres were still carrying play and headed to the man advantage almost halfway through the period. Instead of putting the game away the power play was disjointed from the start. No one pressured the puck carrier along the wall in the Sabres’ zone, and Phillip Danault was able to collect the puck behind the net and catch Lehner looking the other way. While Lehner was able to get his skate to the post in time, he wasn’t able to get the proper seal with his pad and Danault was able to jam in the tying goal. The Sabres couldn’t figure out Price in the rest of regulation, and didn’t really test him in overtime with exception of a one timer from Jack Eichel and a nice save on former Canadien Nathan Beaulieu. Unfortunately the shortcomings in the shootout overshadowed a really strong effort for all but a few shifts. Robin Lehner again came up empty in the skills competition, as Paul Byron hit the goalpost before Jonathan Drouin made Lehner look foolish with a nice deke. Lehner’s shootout struggles were again the main topic of discussion, but Housley electing not to use Jack Eichel in the shootout wasn’t far behind. The Sabres trotted out Jacob Josefson, Pominville, and Sam Reinhart in favor of Eichel, and none of them really tested Price. The decision to have Josefson shoot first was questioned most, and I have to say I disagree. Josefson’s career shootout success rate is north of 50%, so he is automatic in terms of being selected. When Jason Pominville’s 40% conversion rate is considered, you can really only argue that Eichel should have shot third in favor of Sam Reinhart. Buffalo has the look of a team that can not only push the pace of play, but won’t be playing from the back foot when it comes to shots attempted and overall possession. That’s a refreshing change from recent seasons and ought to drive more interest in betting on the Sabres. If you think the Sabres are going to be a good bet during the year, consider using an online betting calculator to determine just how much you’ll make off of Buffalo’s resurgence or betting on hockey in general. It looked like Jack Eichel was squeezing the stick a bit. It was obviously his first game since signing his monster extension, and I think that played a role. He certainly didn’t have a bad night, and his pass to set up the second Sabres goal was a thing of beauty, but you could tell he really wanted to put on a show. I’d expect him to play a bit more within himself moving forward; he’s going to have a monster year. Even the Canadiens noticed the pace the Sabres were playing with. Captain Max Pacioretty said he was caught off guard by how quick the Sabres’ defense was, and Claude Julien said his team was dominated along the boards. You can see the full Pacioretty quote here, courtesy of Joe Yerdon. The Sabres play their first away game of the season Saturday night in Brooklyn against the Islanders; the Islanders open their campaign in Columbus Friday against the Blue Jackets.